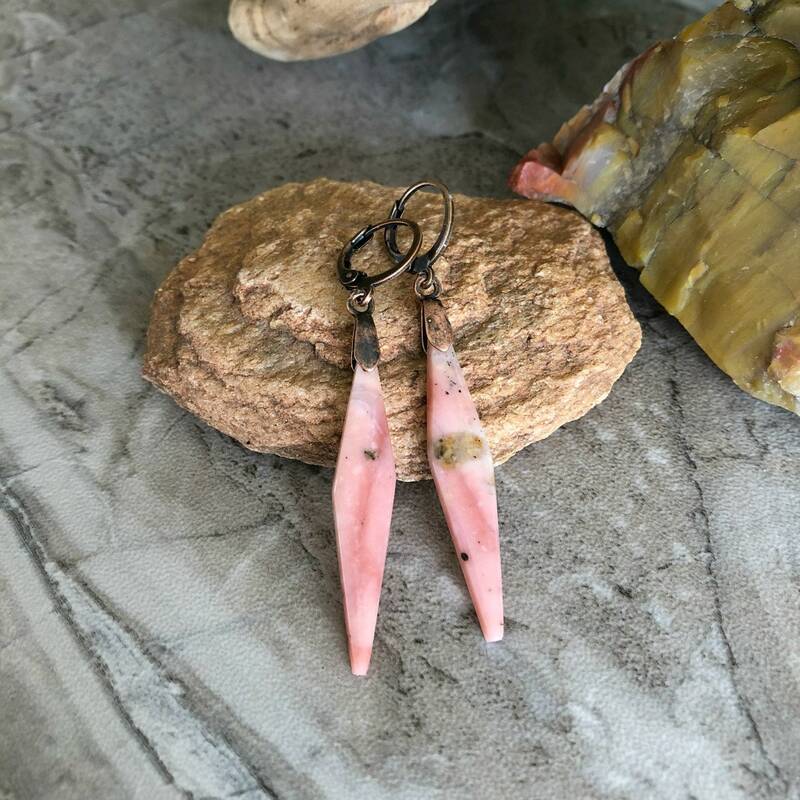 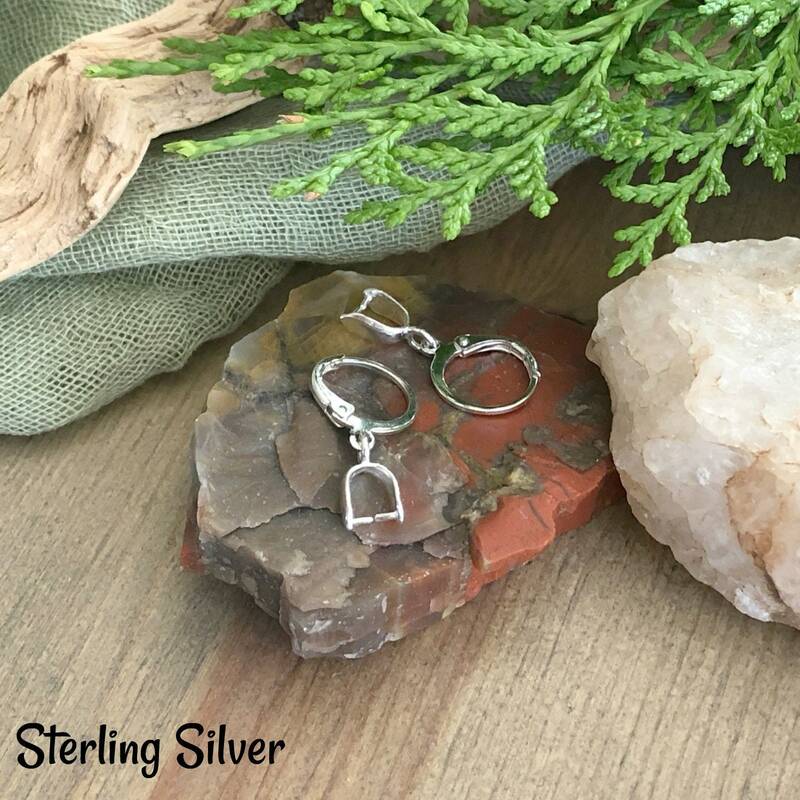 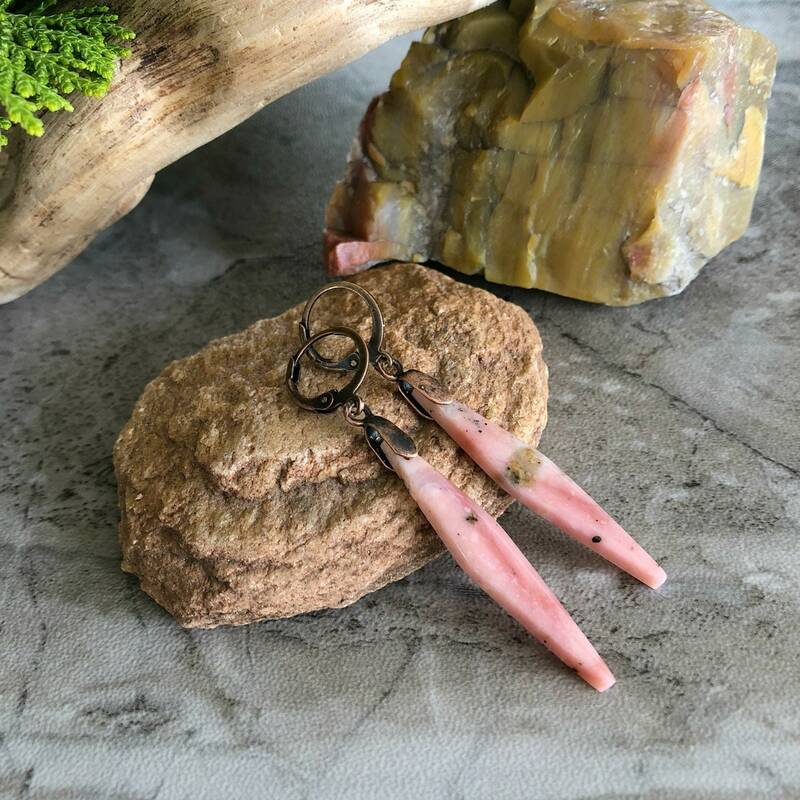 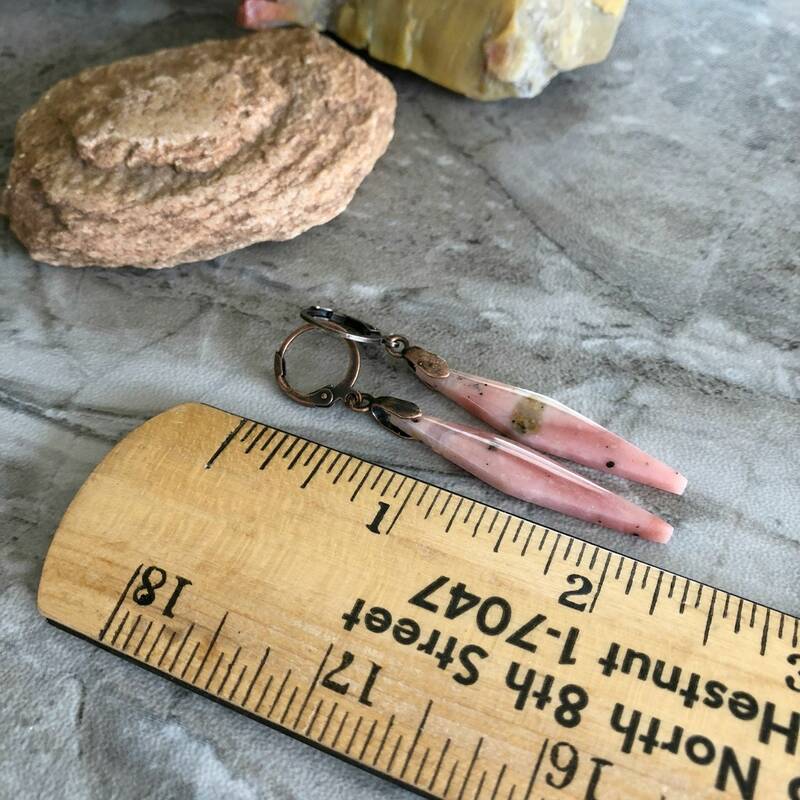 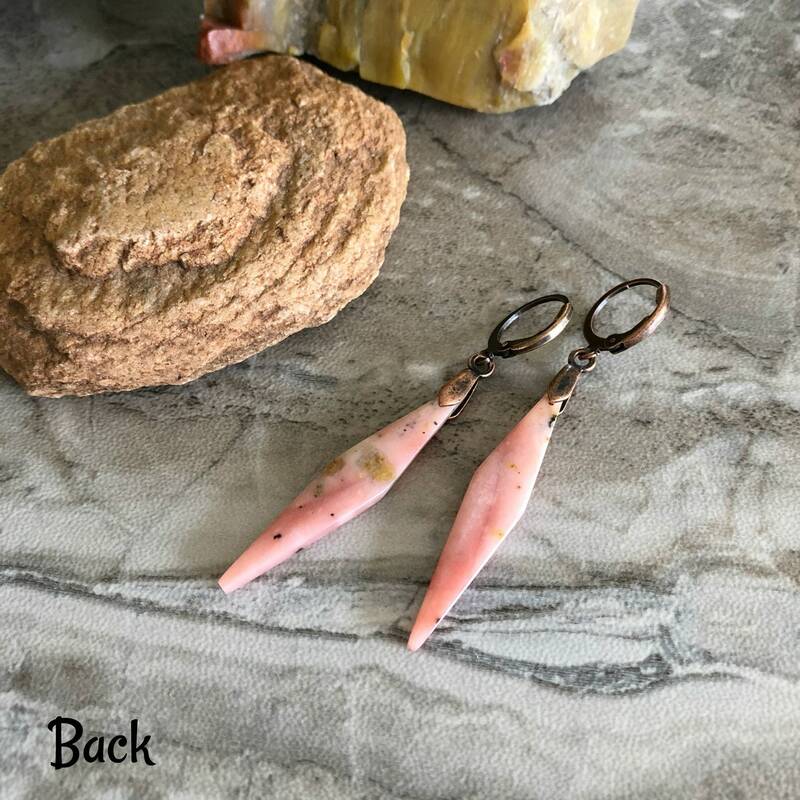 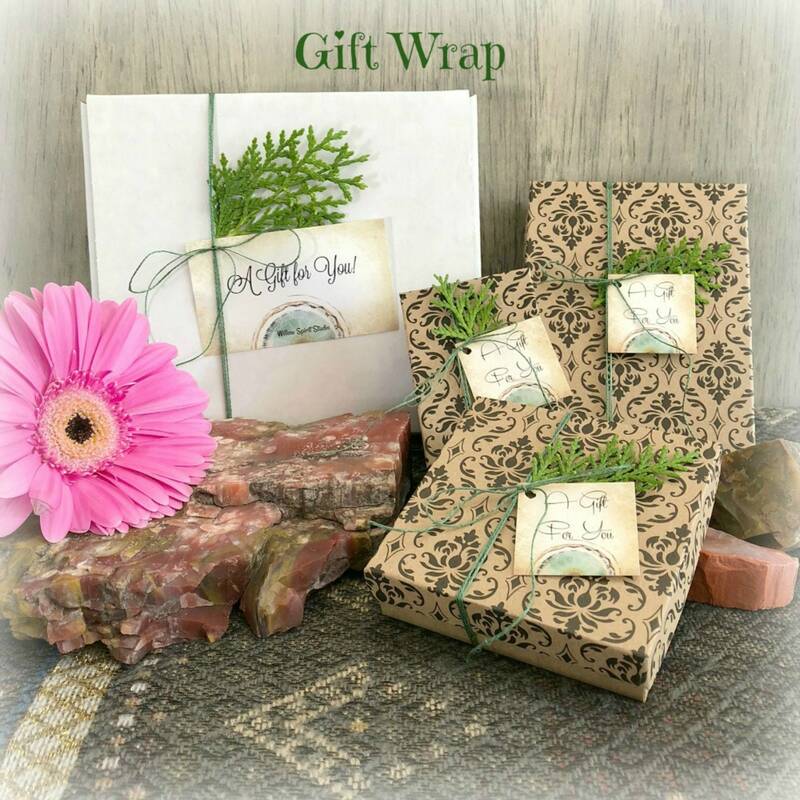 Natural Stone Earrings | Opal jewelry made with brecciated pink opal stone slabs; split into a mirror image with hues of pink, white, golden brown, and black. 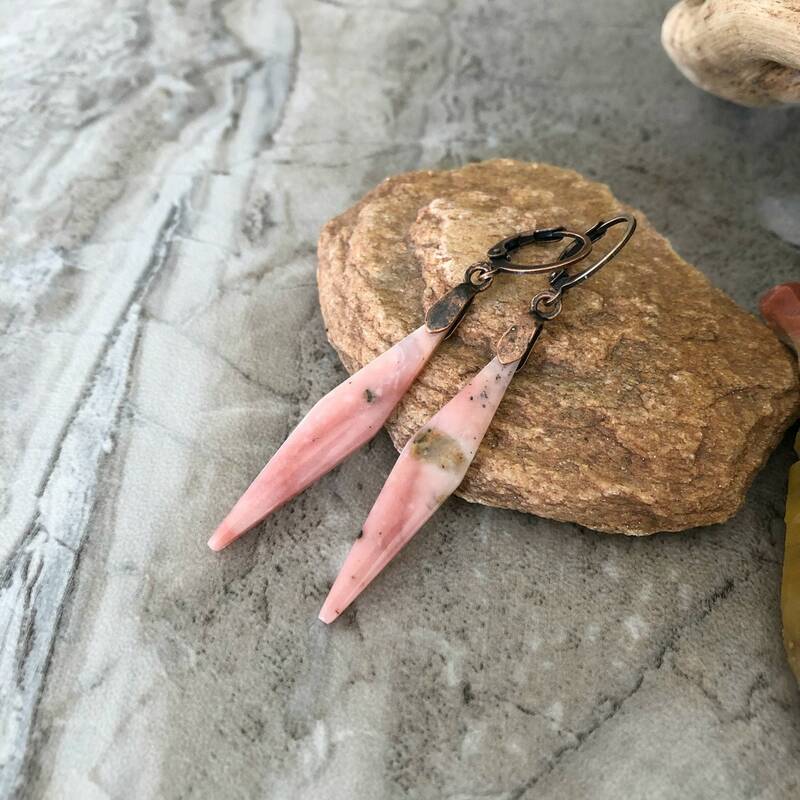 I am absolutely thrilled with these earrings. 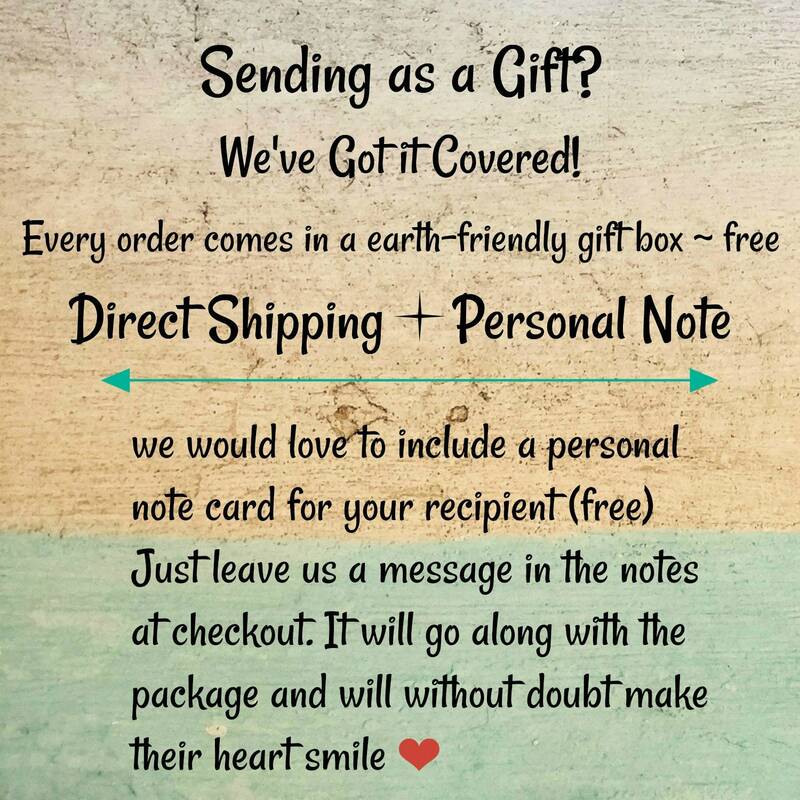 Delivery was fast and the presentation is so thoughtful. I’ll be back for more !